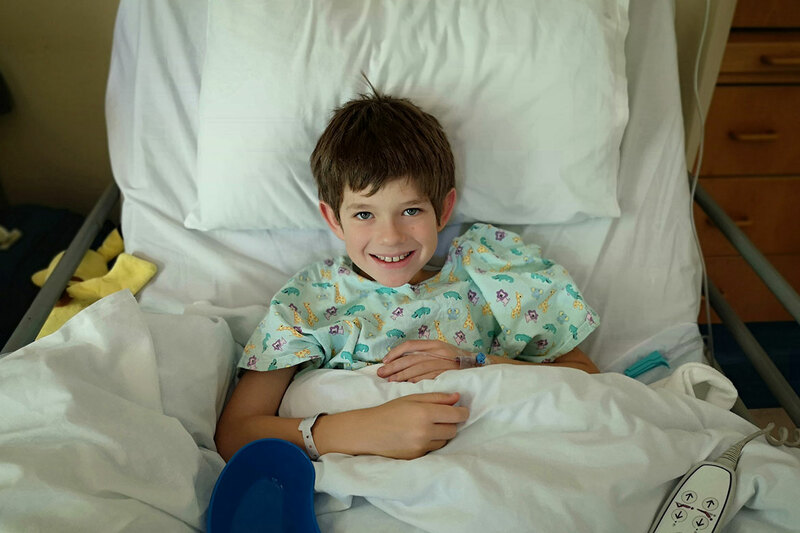 As I write this blog post, I am sitting in a lazy boy at a Mediclinic in Cape Town, 120kms away from home, sitting next to my son Ethan in his hospital bed. I’m not neglecting him by being on my PC – I have been at his beck and call for over 30 hours and while I can think straight (am operating on limited sleep) and I have this in my head, I’m quickly putting this together while he watches a movie and builds a Lego set on his bed. I am not going to go into specifics about what is wrong with Ethan as this blog post isn’t about what is wrong with him, but more about how I got to where I am now and when looking back, what I could have done differently. I can’t change the past, I know that, but perhaps putting this down in a blog post will help someone who is in a similar boat to me. So, just a quick history – Ethan has had some challenges since he was a small child. I have seen doctors, paediatricians, clinic nurses over time. The so-called challenge has been going on since he was 5 years old – he just turned 10 last week. We have gone for numerous X-rays to see what was going wrong “inside”. I have seen herbalists & homeopaths. I have researched the web to see if just maybe someone could shed some light that could make it better for him. I have posted questions on forums, but no one has had “THE ANSWER” that I went – “YES, that’s it”! But looking back at this, I have these 7 points to make which I didn’t necessarily know were important at the various times. Use them, don’t use them. But I think if I had used them, perhaps we would have sorted this issue out sooner. Find the RIGHT Doctor. I cannot stress this one enough. When I say the right doctor, I mean find someone who is interested and doesn’t necessarily whip out their prescription pad and send you home with a set of basic instructions. You know if something is fundamentally wrong, so until you find someone willing to really listen, go through things in detail with you, understand details in depth, keep searching. You may very well have an amazing doctor – there are so many of them. The paediatricians I saw before were fine – nothing wrong with them, but when I compare them to the doctor I saw recently, I without a doubt will be going back to her every time we have an issue (big or small) that needs sorting with either of my kids. Trust your gut. If something doesn’t feel right, listen to it. I know I can be a little paranoid when it comes to my children’s well-being and health and I’m OK with that. And, I know I’m not the only Mom who is like that. But, there’s a difference to being paranoid to feeling like something isn’t right. If you find yourself thinking about things in detail a little more than usual and what is happening / been said is just not sitting right or well with you, investigate further. Everyone has an opinion and you don’t HAVE to listen. This isn’t me pointing fingers at anyone. It’s about knowing that when something is wrong, you will get people giving their opinions or, in some cases, saying things to try make Mom feel better. Things I have been told numerous times over the last 5 years or so is “he must grow up”, “he will grow out of it”, “stop fussing”, “it’s a phase”, “he’s just lazy”. I totally understand why people said the things they said – I really do and I am sure if you have a child aged 3 and up, you will have heard one of these statements before as well. If you have, let me ask you this: What do you think? Why? Because that is what matters. Be persistent. I was / have been persistent, but I could have been more persistent. Had I not listened to other people’s comments / advice / opinions, perhaps I would have found this doctor sooner, I don’t know. You may sense a hint of guilt in my tone (mother’s guilt again! ), but I guess you do what you can with the tools / resources you are given. If it’s something that doesn’t stop or keeps recurring, investigate further. What happened with me (please don’t judge me) is the “challenge” we have been faced with Ethan became a way of life. It was always there in the background – showing itself at random times when you didn’t necessarily expect it, but we were in most instances, ready to deal with it. We would treat it as we could or do things we knew would make it less severe. After all, we had seen doctors and done everything they had told us, so he was going to “grow out of it” eventually. Basically, we kept putting a plaster / sticky tape on something that needed stitches / superglue. This is when you need to really look at Points 1, 2 and 4 if you notice this happening. Know the costs and plan accordingly. I am on a medical aid hospital plan. My medical aid savings account has been completely depleted for the year. Looking at how much this was going to cost, despite having the hospital plan, it wasn’t going to cover some of the things we needed from medicines to other doctors and then also doctors who charged more than medical aid rates. But we made the decision to do this hospital visit and see the specialists we needed after finding out the costs. Many of the doctors these days are quite open to payment plans, so if there is something you need to have done for your child(ren), consider speaking to the relevant people about a payment plan that won’t kill you every month, but will allow you the chance of addressing a problem sooner. Don’t give up. This sort of goes with persistence, but I think it deserves a point on its own. I think that a part of me had given up in a way. We were never going to know how to make what was going on go away. I didn’t think I had anyone else to ask who would give me a new answer – we had exhausted the resources available to us. But, surprise, surprise – I’m here and we are on our way. I am excited for Ethan because if the treatment we go through and the changes we make work well for him, it’s going to have such a positive impact for him! If this has resonated with you or you have a point to add, please leave a comment below or email me – would love to hear from you. If you maybe know someone who is battling with a persistent health issue with their kids, please consider inviting them to read this blog post – you never know – it could help in some small way.